La Mesa, CA (March 26th, 2018) – Shop Floor Automations (SFA), a notable Automation Supplier for the CNC Machine Tool Industry, has released a new hardware product to add USB and Ethernet connectivity to any machine. The LAN-USB Connect became available from SFA as of March 2018. The hardware has many notable abilities that will be desirable for manufacturers. The LAN-USB Connect provides the user the ability to drag and drop files from and to the CNC machine, utilizing an Ethernet connection via FTP protocol. No logon is required using anonymous logins, or security can be configured. These functions are achieved with no special software required to install. Network outage protection also occurs via local server to CNC connection that is independent from the shop floor’s network. 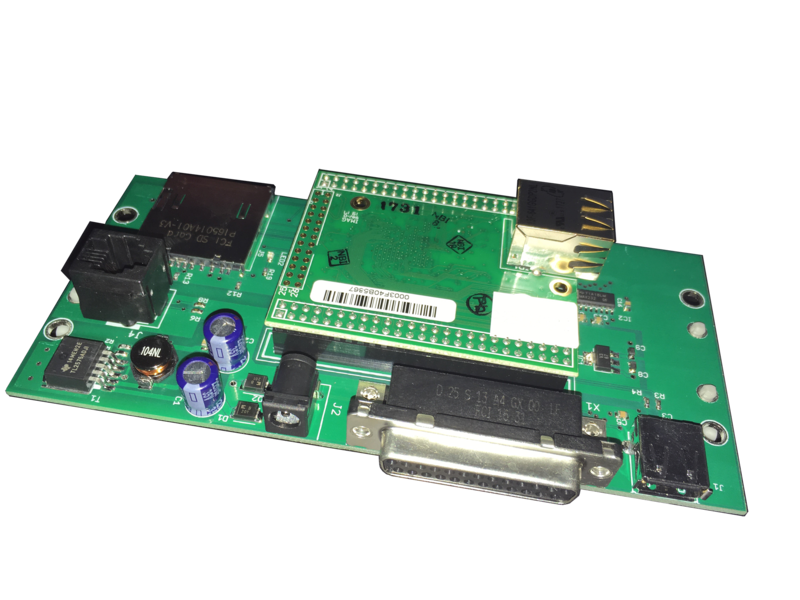 The USB function of the device allows it to act as an interface between commercially available USB sticks and any CNC control with a functioning RS232 port. Machine programs can be sent from the CNC memory to the USB stick, or USB to CNC memory, or can be drip-fed (DNC) from the USB. Flexible CNC communication firmware is built into the unit. This allows for connection to a large variety of machine tool controls. The device buffers the entire program at the machine, and acts as a dedicated computer that responds instantaneously to data flow changes from the CNC. Positioning this device on the control allows the machine to run at its maximum baud rate. This will prevent a machinist from having to walk back and forth from the DNC PC to the machine in order to initiate machine operation. More benefits to this device come with the financial freedom of keeping an older machine in operation longer, rather than retrofitting a machine with new controllers, or replacing a machine all together. The hardware replaces cost-prohibitive measures of adding OEM memory or USB to the machine in a proprietary manner from the machine tool builder. The LAN-USB Connect works with a majority of CNC controls on the market with a serial port. For instance, it has been tested with Haas, Mazak, Hurco, Fadal, Mitsubishi, Mori Seiki, Okuma, Siemens, and more brands. This device is also available in a “headless” version, as well as a low-cost wireless version.